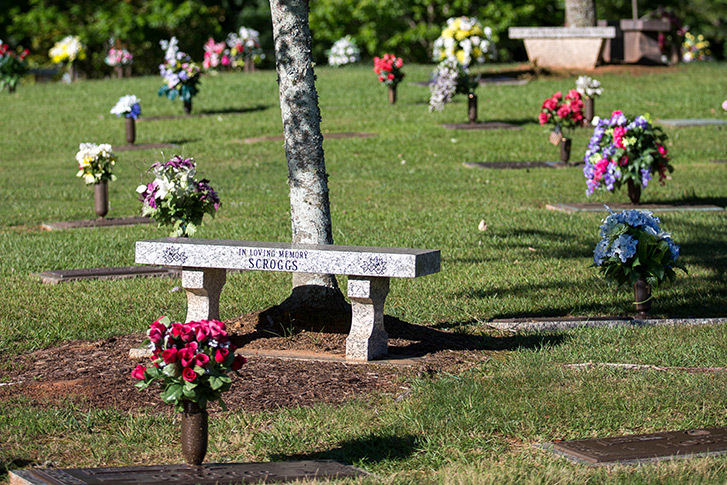 In-ground burial spaces provide a final resting place and legacy for your loved one, and a place for family and friends to visit and commemorate those that have passed. Cheatham Hill Memorial Park currently has seven cemetery sections and will add more sections in the future as we expand to our full 40 acres. All our property is designated as Perpetual Care. While traditional in-ground burial is typically reserved for a full casket, some families choosing cremation still choose to have their loved one’s urn buried. Our caring staff will show you available spaces throughout the cemetery for just one individual, or for an entire family. We also offer fenced Private Family Estates that contain up to four burial spaces and a large granite family marker. Several grave marker and vase options are available throughout our cemetery, in various sizes and designs, to help honor your loved one’s memory. We are happy to give you a tour and explain all the options available. Whether you have an immediate need or our planning for the future, you can reach us at (770) 424-1111.